A wreck is a structure, building, or object that has been destroyed or badly damaged, a ship that has been sunk, and also a synonym for ‘ruin, destruction.’ It can be used figuratively to talk about a person whose physical or mental health is in a bad state. As a verb, to wreck means ‘to sink a ship’ or ‘to cause the destruction or ruin of something.’ In US English, it also means to demolish a building. The fire ravaged the beautiful old hotel, leaving only a wreck. In 1971, divers found the wreck of one of Henry VIII's warships, which had been sunk in 1545. When the entrepreneur's business went bankrupt, she was left with only the wreck of her dreams. After months of stress, David was a wreck. The torpedo wrecked the battleship. My sister borrowed my favorite dress and wrecked it by spilling red wine all over it. That building is going to be wrecked tomorrow. In US English, an accident on a road or railroad is colloquially called a wreck. In UK English, it is called a crash, which is also commonly used in the US. In coastal communities, people used to steal cargo from ships that had been wrecked on the rocks. The practice of doing this was called wrecking and people who did it were known as wreckers. Cornwall, in South-West England, is particularly famous for wrecking and there are lots of old stories and legends about it. The activity even features in Daphne du Maurier’s novel Jamaica Inn. Some stories claim that wreckers actually lured ships onto the rocks, using lights, and that is the case in the novel. However, there is no evidence that this ever really happened. 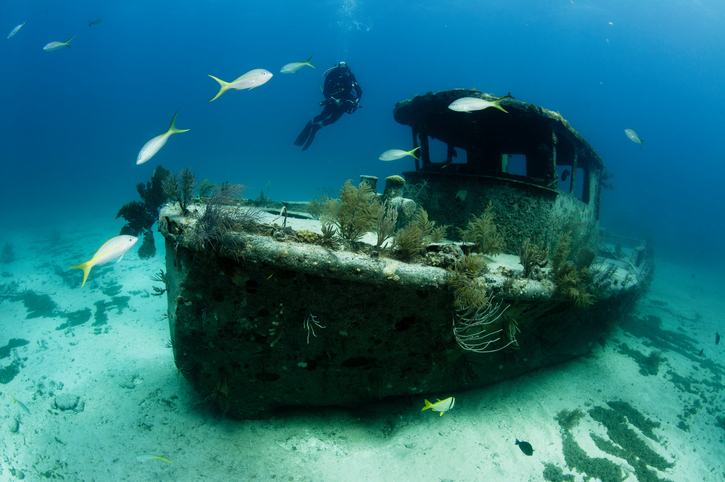 Wreck dates back to the early 13th century. The Middle English wrec meant ‘flotsam’ or ‘goods cast ashore after a ship went down,’ and came from the Anglo-French wrec. Its source was likely Scandinavian, though it hasn’t been pinpointed. We do know that the word came from the Proto-Germanic verb wrekan. It is related to the Old Danish wrækæ (wreck), the Old Norse wrek (wreck, flotsam), and the Norwegian and Icelandic rek (wreck), as well as the English verb wreak. The meaning ‘a shipwreck’ first appeared around the mid-15th century, and ‘a wrecked ship’ dates back to the late 15th century. The sense expanded to anything that has been ruined by the early 18th century, and to people by the late 18th century. The verb comes from the noun. Its original meaning, ‘to drive away’ or ‘to remove,’ as well as ‘to take vengeance,’ is about as old as the noun, but the meaning we know now, ‘to destroy or ruin,’ dates back to around the year 1500. The intransitive sense is from the mid-17th century.